A stunning 2576 sqft 3 bedroom, 2.5 bathroom sitting on 2.65 acres. Located in Navajo Ranch Resorts and a short drive to Lathrup State Park, the Spanish Peaks Hospital and Nursing Home, the town of La Veta and the city of Walsenburg. This is a home with a true view from every window in the house. Featuring vaulted ceilings and a large open-concept kitchen/dining room, a large covered deck and a walk out basement patio with Hot Tub. Perfect for entertaining! Equipped with an RV hookup and plenty of storage for all of your outdoor toys. This immaculate garage is a craftsman dream come true. 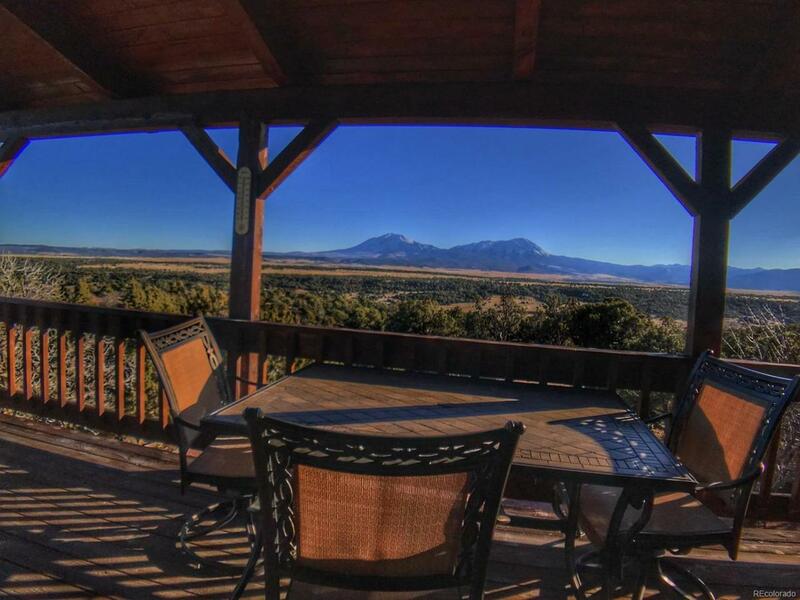 Come explore Spanish Peaks County at its finest!